We went up and spoke to Julia and Ken at Fernwood and the people in front of us on the build list can't sell their property so have asked to swap places with us which now means Derwent6 could be finished by the end of 2007. 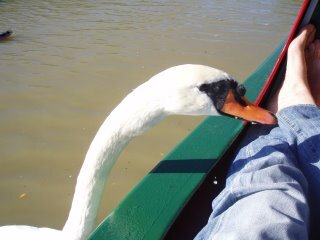 We were on the cut traveling down the South Oxford early in October for a week and had a great time soaking up the mild weather and being attacked by the swans. 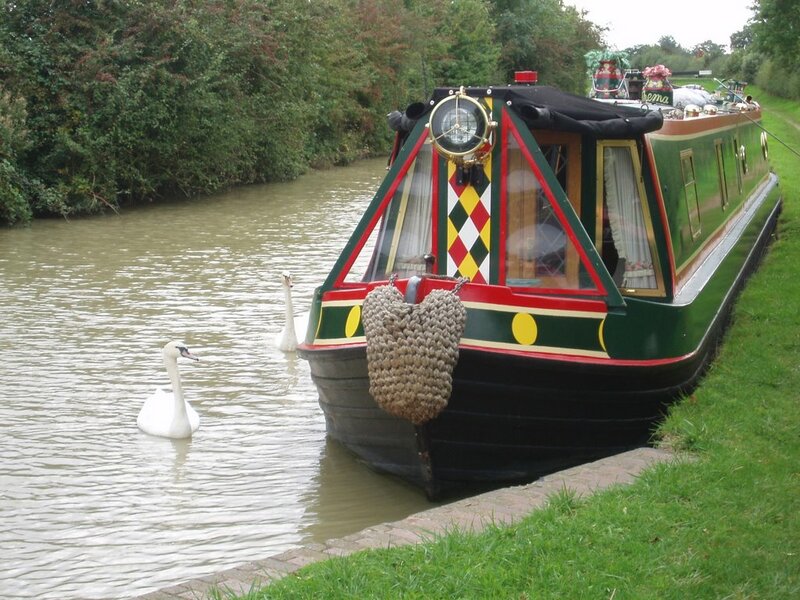 We are lucky enough to have the use of N.B Thema which is in the family owned by Pat and Keith,which is a 62 foot Colecraft shell which Keith fitted out himself. Derwent6 will be designed with this boat very much in mind. as we have a busy month in November and December with things going on.....More next month! We have now acquired a new addition as promised last month "the horn" This was made especially for Derwent6 and will go on the roof of the stern, port side. We are really really pleased with it and it was all hand made and is so loud it would blow your head off.. Bridges on the cut may need to be modifidied!!!! 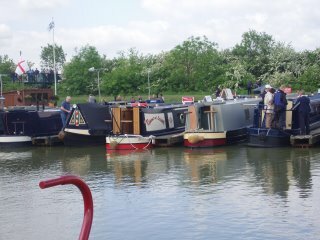 We have been to our first boat jumble and spotted loads of bargains but nothing we really need at this moment in time. We are moving on with the plans and have been looking at colours and interior designs, room sizes and electrical equipment. The inventory has been drafted for the bits and pieces in the house for the time of sale, and we now have the hugh task of deciding what stays or what goes. We will be on the cut next month for a week and will post some pictures then. August turned out to be a busy month, we went up to Fernwood craft and saw Ken and Julia who have another boat close to launch day. 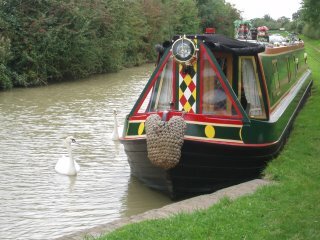 We then met up with N.B Huff & Puff another Fernwood boat. We have been working hard on the plans and been getting lots of suggestions from N.B Quidditch, N.B. Belle and N.B. Hader who's main advice was "KEEP IT SIMPLE"
So simple it's going to be !!!!! 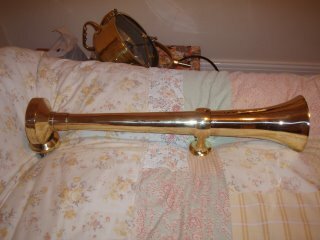 As you can see we got the lamp back and don't it look just grand!! 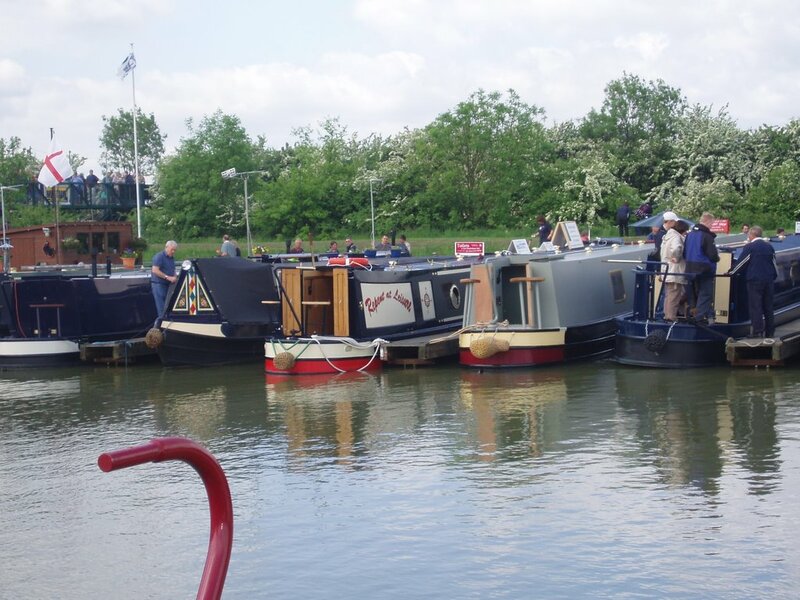 We went it the IWA Beale park boat show and got alot of information from all the narrowboats at the show this year. We then checked out N.B Jasper another Fernwood boat to see what it looked like after three years down the line, and it was still in very good condition. 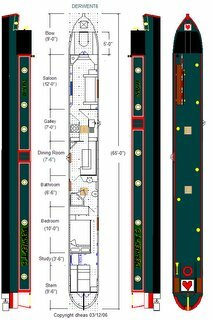 It is with thanks to Chris and Stelle's website ( belle@railwaybraking.com) and their boat "BELLE" that we have used their excel sheet to get the plans together for "DERWENT6". We found their website because they are also using Jim Sparks of Alexander boatbuilders and we have found the site so useful with hints and tips before our build slot. 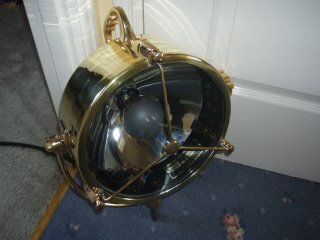 The lamp has been sent away for dechroming to Procast in Nottinghamshire and should be ready in about a couple of weeks. We have heard from Fernwood that the build slot could be brought forward so we plan to go up there this month. Well we found it !! 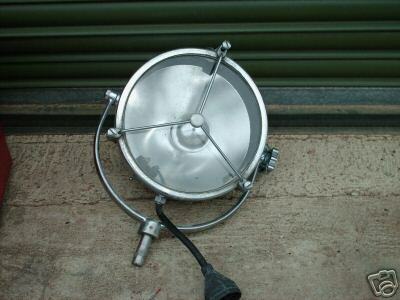 A 1960's Fire engine searchlight which we wanted to go on the front of Derwent6..We found it on Ebay and had to collect it from a fire engine collecter, who had a fire engine (Dave) in Oxfordshire. What a great house they had it full of old collecters items and memorabilia of the 60's. This really should have been posted in May but we've been a bit behind with our blog! We had a really fantastic time at Crick. It was our first show and we went for the whole weekend. The weather on Saturday was dismal but we didn't let it put us off and we managed to see loads of boats that day. This has given us plenty of food for thought and its great to see different designs and Ideas. Sunday the sun shone and we spent the day looking around the trade stalls(again really useful for ideas) stayed at Crick that evening to see the live band The Platforms. They were Fab ! Back again on Monday (we just can't get enough!) and revisited a few boats that we wanted to take another look at. All in all a very useful weekend which has got us really excited. Well we've done it !! 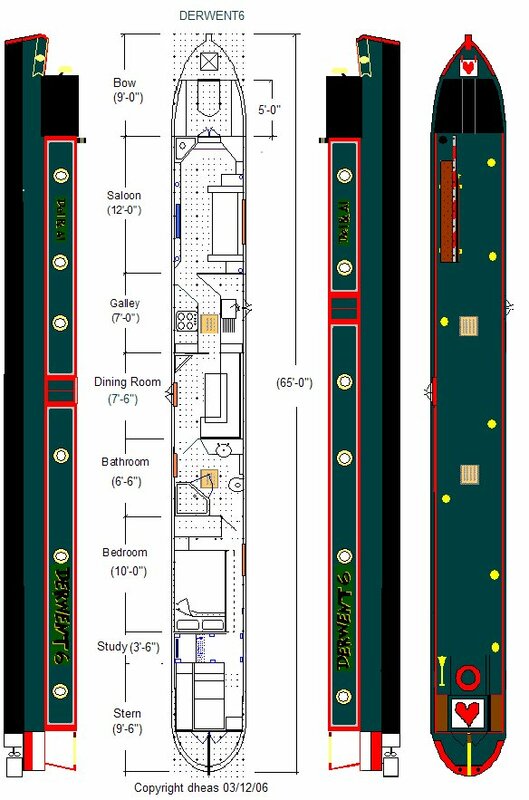 We found a boat builder in Jim Sparks at Alexander boatbuilders and someone to carry out a quality fitout with Ken and Julia at Fernwood craft...We have now booked our build slot and it's all systems go..
We are now working hard on the design. So much to think about !!! Where do we start! At the moment we are researching boat builders (shells & fit out) and planning to make a decision at the end of this week. We need to start the ball rolling if we are to realise our dream!